I grew up an athlete in the Seattle area. Like most athletes, I suffered minor injuries, setbacks, and knocks throughout my youth. All this wear and tear culminated in a major blowout, when I tore through more than half of my "hip flexor"(iliopsoas) tendon during a soccer game. Nobody touched me. I wasn't even running full speed. I was simply shuffling one direction, pivoted to dive the other way, and *POP* next thing I know I can barely walk. All I could think was. "I'm too young for this s**t."
One day, I was spending 20 to 30 hours playing three different sports at a high level. And just like that, I needed help putting my pants and socks on in the morning. I was 13 going on 80. How did this happen, how did my body come to this? More importantly, what could I do to fix it? I tried the physical therapy, the chiropractic, the massage, the acupuncture, the stretch therapists, the this-that-and-the-other. I was told one leg was longer than the other by two inches. I was told I needed to stretch this tight muscle and that tight area. I was told my hip flexors needed strengthening. I was told that this and that needed releasing. I was given a heel lift for my shoe. Some things helped with the pain, some didn't help at all, some made it worse. But one thing was certain - nothing I tried gave what my body needed to return to activity. And I wasn’t okay with that. I couldn't shake the feeling that all these people were missing something in my equation. I had no clue what, but it seemed that they were each focusing on a different, smaller portion of the much larger issue. Three, then six, then nine, and finally twelve months went by without any noticeable progress. One day, by a stroke of luck, I stumbled upon the person who would change the course of my life forever. At another goalkeeper training session, I re-tweaked my hip (again). I started swearing, threw my gloves, and sat down on the verge of tears. What did I need to do to return to being a healthy 13-year-old? I had put in so many hours, so much sweat and blood, gone through so much pain, trusted so many people just to try and get back but nothing was working! I was supremely frustrated and had been close to giving up for awhile at that point. My goalkeeper trainer, a professional (at the time) for the Seattle Sounders, cantered over and told me he knew a guy that might be able to help me. My first question: "What does he do? Is he a PT or something?" His response: "I'm not gonna even try to explain it, but it works man. It's different than everything else out there. He is the only person I trust my body to, you should call him right now if you want to continue to play." Having been given hope by so many people only to come crashing back down to reality, I was naturally skeptical. But, what more did I have to lose in that situation? I payed a visit. I was kinda surprised when I found myself in a gym – of sorts - up until then I had been mostly in therapy settings. But after my first conversation with the guy, I was pleasantly refreshed; I began to feel inklings that I had finally found the right place. No empty promises about returning from injury in ____ weeks, no preconceived programs for care based on what some book and professor dictated 15 years ago. No longer would I be placed into a category based on my injury and symptoms. Finally someone who spoke to the complexity and variability of the human body. Finally someone who endeavored to take all of life's variables into account. Finally someone who was comfortable saying, "I don't know." I felt much more at ease because I knew we would be asking questions. I could tell that I was working with a problem-solver, not a protocol-follower. When I told him that one of my legs was 2 inches longer, he chuckled knowingly. "They love to use that one; let's find out if they're right this time. There's always a possibility." We underwent a thorough assessment, infinitely more in-depth than anything I had gone through with all those others who claimed to already know what was going on. He didn't focus on only the affected area. We assessed everything from my ability to curl my pinky toe all the way up to the rotation of my neck, and everything in between. Posture, motion, injury history analysis, etc., but also things like stressors of everyday life, diet, activity level and type were taken into account. Then we got to work. Before we finished the first treatment session, my legs were even. I was blown away. "What did you do?! My legs were different lengths 40 minutes ago!" I exclaimed incredulously. "Oh it's pretty simple, really. It might have looked like they were different lengths when you look at the feet, but that is a teeny portion of the whole picture. Really, these and these muscles (pointing to a picture) were pulling on your pelvis disproportionately, causing one side to hike up towards your ribs and the other to drop down away from it." "Matter of fact," he continued, "this probably played a huge part in the injury itself. If your pelvis is all wonky (scientific term), your hip joints are operating from a different starting position than the muscles controlling them are used to. Therefore, those muscles must perform different jobs than they are meant to." Basically, everyone else had been trying to solve a symptom of a much larger problem. Imagine trying navigate from Seattle to New York City with just the two city maps. How do you know what the route is when you can only see a fraction of the full picture? Not only did my legs even out, but when I stood up at the end, 90% of the pain was gone. I couldn't believe it. It was crystal clear to me that this guy understood wayyyyy more about how the body functioned as a whole than anyone I had worked with to date. Within three sessions I was sprinting. Within five I was kicking a ball full force. After seven I was participating in all aspects of training with no hesitation. He was giving me things to do on my own that would help progress and maintain the changes we were able to make using MAT. I wanted to make sure an injury like this never happened again. So I continued to work there twice a week, slowly incorporating (a much different version of) strength training in conjunction with the table-based MAT. I began playing at a level that I never thought possible. I was playing for nationally ranked soccer teams, going to tournaments all over the country, eventually getting a host of Division 1 offers. Sweet, right? But I decided not to take any of them. 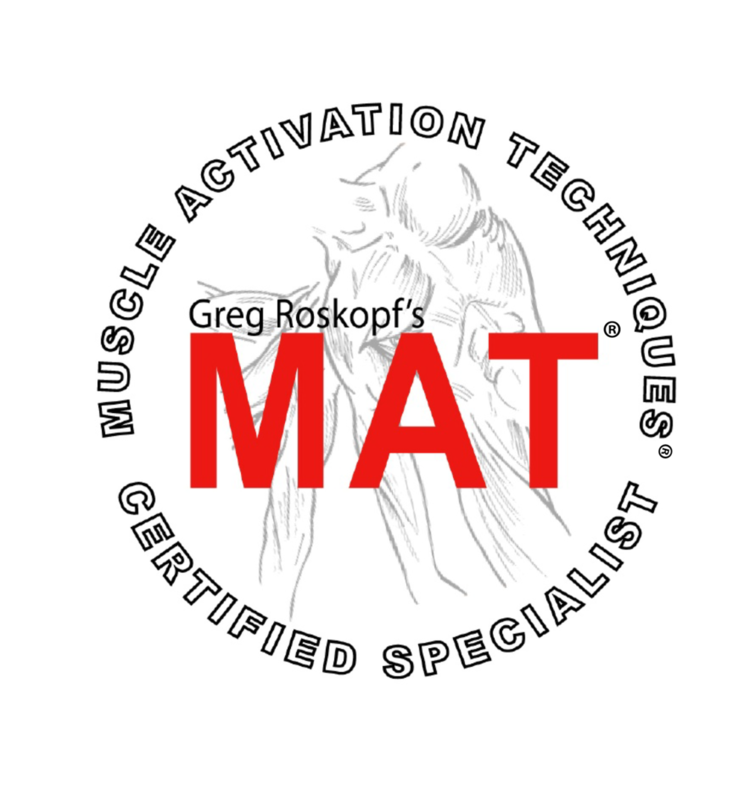 I skipped all the soccer offers, skipped college, skipped the traditional route that all body-workers typically take and went straight into the MAT program. Yeah I had a lot of push back, the classic "you won't get a job without a degree" spiel from my family. My friends thought I was crazy to turn down the promised land of collegiate athletics. But I was determined to do something else. I was determined because I realized when I was 14 that I wanted to change lives, and change them in the very same way mine had been - what this specialist and Muscle Activation Techniques had done for me is something I will forever be infinitely grateful for. I was an outlier as a young kid, because I knew very early on what I wanted to do for the rest of my life - work with the human body. But nothing really made sense to me. There were always questions that were met with "don't worry about that" or "that's not important." There were too many protocols and not enough principles; I felt very strongly that that wasn't the way to go about working on anything, and especially not something as complex and variable as the human body. Finally, I had found something that was effective, that used common sense principles, a tool that would enable me to follow my dream. I consider myself extremely lucky; I get to spend every day helping people who are struggling realize their dreams. From the marathon runner who wants to run Boston for the first time, to the high school or college football player who wants nothing more than to play his very best game on senior night in front of his family, to the grandparents that just want to take 20-minute walks together, I get to wake up each morning and give my all to help them attain what they want most. They can have peace of mind knowing that I'm not just collecting an insurance paycheck; they're more than just another number to me. I don't just see another ACL rehab, another low back pain complaint, another surgery recovery. I see dreams, fears, goals, obstacles, issues, strengths, weaknesses, flaws, knacks, fortitude, struggle, passion, trials, tribulations, potential, success, failure, setbacks, adversity, triumph - I see a person. I see me, physically broken and emotionally beaten, hobbling into that gym all those years ago with no hope for change. I see me, struggling to accept that I might never be physically able to do what I love again. Behind that pained, downtrodden face I see my friends and family, trying to cheer me up while being forced to watch someone they love descend into depression. Ultimately, what I see is the privileged opportunity to drastically change someone's life for the better - to change it in a way that they may no longer have believed possible, to give them hope, to give them the ability to enjoy life again. The same way that MAT changed mine.